I started reading Charles Massy’s “Call of the Reed Warbler – a new agriculture a new earth” with a great degree of expectation. I have worked with Massy as a journalist over many years with the most infamous experience being the shredding of around 20,000 copies of Australian Farm Journal WOOL magazine because Massy’s column contained a paragraph not to the liking of its wool industry sponsor. While we both smile about the event now, it highlights the power of vested interests to massage the stories people read. Apart from being a farmer with all the practical and decision making experience in a variable biological and climate environment, Massy is a consummate researcher, scholar and writer as his other books “The Australian Merino” and “Breaking the sheep’s back” testify. So I was full of anticipation to find out how he was going to embrace the increasingly popular farming method paradigm called “regenerative farming”. “Call of the Reed Warbler” could actually be at least two or possibly three books. That’s because it embraces three distinct themes. Firstly it is a compilation of stories about people who are now commonly referred to as regenerative agriculture farmer pioneers and the educators who developed methodologies which helped substantiate their decision making processes. Its second potential book is what might be termed a review or re-write of Massy’s PhD thesis undertaken over five years, which is based on the hypothesis that conventional agricultural practice is accelerating the world into a doomsday scenario due to land and water degradation, poor nutritional quality food, and toxic food which is causing a wide range of diseases amongst humans. The third potential book is Massy’s personal story of growing up on the home farm, taking over its management from his father, and the impact on his farm from adopting regenerative agriculture decision making and practices. With 32 years as editor of FARM magazine and Australian Farm Journal, starting in 1980 as well as a degree in agricultural science and experience in farming livestock intensively, and extensively on pasture, I have been privileged to observe, study, practice and write about continual change in broadacre farming’ (grazing and cropping) methodologies, ecosystem functions, education and extension, animal welfare, economics, marketing and food consumerism. This includes visits to and interviews with most of the regenerative farmers and educators Massy includes in this book as well as many of the scientists/educators involved. I hold them in respect as they have looked outside the square for innovations that bring farming methods closer to their own views about nature, ecosystem functions and food quality while retaining productivity and profitability. What I endeavored to bring to the farming methodology debate as a journalist was a balance of stories from an independent perspective, based on science as well as personal farmer experience. I learnt that in farming (as in probably all other pursuits) there is generally no right or wrong, because there are so many factors interacting in complex, biological systems which impact on each farmer’s decision making process. As Salman Rushdie said recently in an interview “the truth is different to different people”. 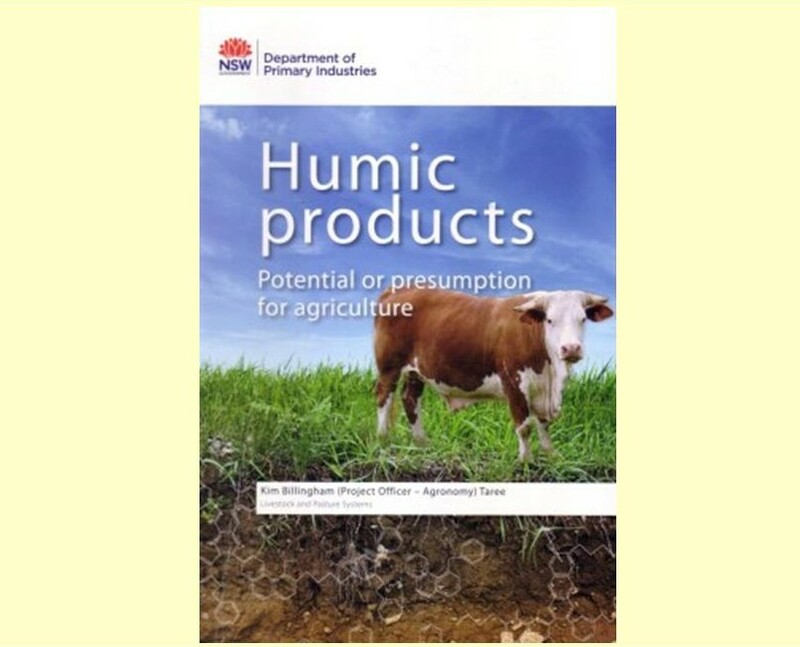 So what is the truth about farming and grazing methods that protect and enhance ecosystem functions across the farm while ensuring business profitability, animal welfare and food that is safe and of high quality for consumers? For Massy, regenerative farmers adopt what he calls is an “Emergent” mind as opposed to a “Mechanical” mind (defined as “man is separate from , and so can dominate nature”) to ensure a positive future for agriculture and possibly the human race. Massy’s definition of an Emergent mind is “a mind that combines elements of the previous Organic mind (humans as a partner with nature) with the best of the Mechanical mind and modern science, but in addition has a capacity to respect and encourage the processes of self-organisation, open-ended creativity and thus emergence”(page 385). I would prefer to use the term holistic mind, that is, thinking and decision making that takes account of as many variables as possible encompassing a complex biological system such as a farm. But there are other approaches or methodologies (generally grouped as “conventional” farming or mechanistic industrial farming as Massy calls it) that the majority of farmers prefer to use for a whole host of reasons. It is the latter group that “Call of the Reed Warbler” had the potential to attract. Despite the stated advantages of regenerative agriculture, this book is unlikely to attract “conventional” farmers as readers for one key reason. Massy has ignored or forgotten a key feature of human nature, which is the negative response achieved by alienating readers, be it their decision making, their values, their friends and advisors and even their ancestors. Food, water and air poisoners using a witch’s brew of deadly poisons. Contributing to ecosystems coming apart at the seams. Using farming techniques that wreaked rapid and awful havoc. Contributing to a hugely altered land of simplified monoscapes and biota, of destruction and functional degradation. For some a place of abode – the farmhouse – often remains basic, unloved, unpainted and just a dormitory for sleeping in at night. Poisoners of the consumer and contributing to overall declining human health in Western nations. And that’s just for starters, over the next 460 pages the barrage of criticism continues unabated over and over again. It culminates in what he calls “a culture of death”: “…pouring herbicide on the Earth, …aggressive ploughing, clear-felling healthy forests or the simplification into monocultures of complex creative systems, … locking up animals in confined cages and feedlots and stuffing them with food and additives they were not evolved for” (page 499). Such a verbal pasting of farmers who operate their businesses under a considerable burden of environmental and food safety legislation and increasing consumer awareness of environmental management and animal welfare, will not encourage potential readers. So the opportunity for a small step in the right direction for changing mindsets amongst most conventional farmers has been lost. In saying this I was reminded of a “similar” themed book I reviewed a few years ago. I wrote at the time: “Nature and Farming – sustaining native biodiversity in agricultural landscapes” by David Norton, University of Canterbury New Zealand and Nick Reid, University of New England, Armidale New South Wales . This book presents readers with an enlightened account of how biodiversity on farms has been impacted by agriculture and how farmers can increase and manage it. The authors emphasis on farming landscapes being different rather than degrading for biodiversity will draw farmers interest rather than immediately putting them on the back-foot about their practices and turning them away from different or new ideas. As a farm management journalist an early lesson for me was not to alienate your readers but to use the power of stories to inform and provoke interest in new and alternative science and practices. Stories about innovative on-farm practices such as those in Massy’s book attract interest amongst other farmers particularly early adopters. It’s a powerful tool for achieving change, and with on-going reinforcement with credible on-farm and scientific data, does produce new thinking amongst a wider group of farmers. But practice change is not the domain of regenerative farmers and educators, I have been witnessing it since I started in farm management journalism in 1980. For readers interested in the types farming practice change being advocated for more than three decades I suggest they use as an example the February and March 2003 editions of Australian Farm Journal. These issues contain about 50% of total content in articles written by or about regenerative farming (RCS has four articles including two by Stan Parsons), organic farming versus mechanistic farming (with comparative data), changing practices in mechanistic farming such reducing herbicide use, and changing practices in world farming (written by Jules Pretty). Adoption of conservation farming using no-till, precision technology and variable rate inputs is the classic example in the cropping sector, while rotational grazing in southern Australia and holistic grazing management in pastoral areas is a livestock sector example. 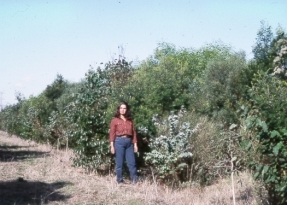 More generally adoption of landcare farming practices like conservation cropping, adding perennial grasses and shrubs (saltbush, tagasaste, leucaena etc) to grazing paddocks, protecting and/or planting conservation corridors, riparian zones and recharge areas has increasingly happened since the mid 1980’s. Many farmers understand that improving soil health offers significant productivity gains while improving paddock ecosystem functions like soil biomass, water holding capacity and organic carbon level. Photo: Patrick Francis. Massy has studied why farmers make the decisions they do and what influences change, but strangely hasn’t taken note of those reasons in writing his book, as he uses negative descriptions of farmers who are not involved or even partly involved (not a state of mind he gives any credit for) in regenerative farming without apparent thought that it might present a communication problem for the book. “But why is it so hard to shift from a Mechanical mind to an Emergent mind: from one that is Earth-destructive to one that is Earth-nurturing? The answer, while complex is also simple: it involves overcoming paradigm entrenchment deep within our heads along with those external that have vested interest in keeping us on track” (page 410). Nor does it occur to him that his own method of advocacy for regenerative farming is an issue for achieving practice change, but admits “…the advocate inevitably comes across as an insurgent revolutionary, taking on all society” (page 411). This is an apt description of Massy and some others in the regenerative agriculture movement who believe the truth is on their side and everyone else advocating a different approach is driving agriculture and the human race towards a doomsday scenario. The Australian Farm Journal articles highlight that a wide cross section of farmers, scientists and advisors are constantly working on practice change to align farming methods with improving ecosystem functions and high quality food. Adopting each practice change may not result in the regenerative agriculture Massy envisions but such incremental change is surely a step towards shifting “a Mechanical mind to an Emergent mind”. It is interesting Massy believes in the power of telling stories to influence change. 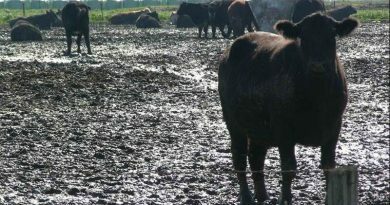 “As we can’t force change, then instead we have to make sure that regenerative agriculture readily presents itself as a viable alternative for whenever people are ready for change. I believe the key to this is telling stories or narratives that are meaningful, substantive and relevant depictions of a new reality” he says on page 500. And he does that in an accomplished fashion with case studies about the regenerative farmers and educators. The problem for this book is the re-write of his PhD thesis (about 40% of the text) about why changing from a mechanistic mind set to a emergent one is critical now “…with the greatest crisis and potential impending collapse of modern civilization that humanity has ever seen,” (page 501). This statement does not require balanced discussion as a PhD is written to support the author’s hypothesis pertaining to the salvation of farming ecosystems and production of high quality food. Massy was a PhD student in the Fenner School of Environment and Society at the Australian National University. He spent five years or so undertaking his PhD and says he interviewed more than 80 farmers and educators, and quotes hundreds of academics from the Middle Ages to present (the bibliography takes 26 pages). Despite this he does not recognise or quote any positive changes in farming practices amongst most Mechanical minded farmers or in the advice to farmers emanating from agricultural science research and on-farm trials. This failure seems to contradict his definition of an emergent mind which is supposed to combine natural farming methods with the best of the Mechanical mind and modern science. I spent 32 years traveling across Australia visiting innovative farmers, attending workshops and seminars, talking to scientists and reading research and was able to continually tell stories about innovations and changing practices amongst mechanistic as well as regenerative farmers. Unfortunately Massy sees no role for what I term stories about “hybrid farming methodologies”. These are stories about an increasing percentage of professional farmers (ABS data shows around 25% of farmers produce approximately 70% of commodity output) who are gradually changing practices as they become more informed about the four landscape functions enabling landscape regeneration. I contend change to holistic decision making needs such intermediate step stories as they enable farmers to gradually learn from others about impacts different practices are having on farm productivity, ecosystem functions, profitability and social wellbeing. An example of widespread change taking place using holistic principles is happening amongst conservation farmers practicing, no-till, control traffic and precision agriculture. These farmers now have the computing technology to monitor the outcomes of every decision they make and relate it back to crop variety used, rotation used, soil types, soil water holding capacity, water use efficiency, soil pH, organic matter content, herbicide type and fertiliser type and rate. These farmers decisions are no longer based on minimum variables agricultural science research undertaken by government institutions and/or farmer research groups which have become increasingly financially dependent for their operation since the late 1990’s on world agri-corporations with vested interest in the outcomes. These farmers are now far better placed than ever before in history to make cropping decisions based on their own personal values relating to farm ecosystem functions, food quality, social wellbeing, yields and profitability. As consumers’ knowledge of these issues (often referred to as food credence values) improve more crop and livestock farmers are becoming increasingly holistic in their decision making. And positive change in ecosystems functions is happening if you talk to the innovators and review ecosystem functions and productivity data and research. Massy seems content to ignore the farmers, scientists and advisors involved as the change it is bringing doesn’t conform with his world view of how it should happen. On page 449 he says: “…preparedness and ability to diagnose what is wrong with the ruling world paradigm and thus agriculture and everything else about our industrial society also constitutes a step towards radicalisation. And it will be this that is needed to extricate ourselves from our Anthropocene dilemma. This is because we need a wider and more rapid shift to an Emergent mind than is just occurring at the cutting edge of regenerative agriculture”. There is also a virtual religious zeal associated with change needed. On page 417 he describes regenerative farmers as having “…massive reorganisation of a world view and personal mental constructs that leads to an almost born-again view of the world…”. Massy’s dismissiveness of hybrid methodologies highlights one of the most noticeable contradictions in his arguments. He regularly refers to how Mother Nature is “…both forgiving and resilient” but in his view (she) isn’t able to accommodate mechanical farming systems. All farming and most grazing districts in Australia are altered or different ecosystems compared to their native state. This doesn’t necessarily mean they are all degraded, on the contrary some might even achieve higher ecosystem function than the native state. 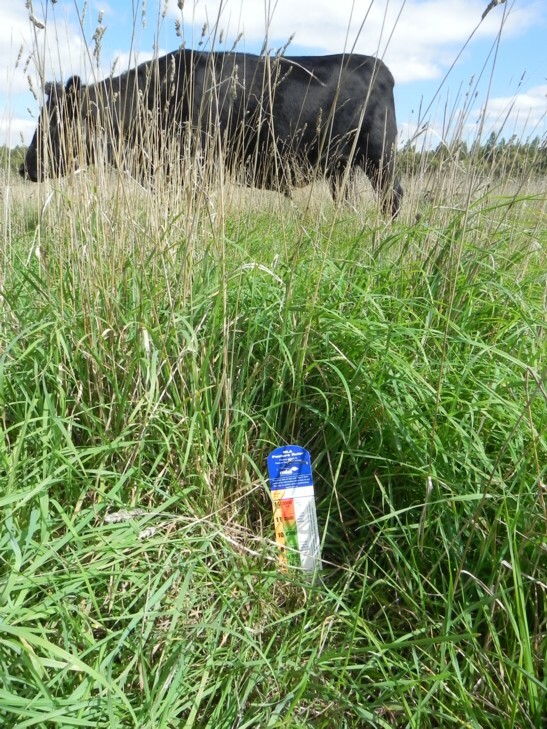 A classic example is the enhanced solar energy function of some introduced “improved” pasture species compared to native species in particular C4 natives which senesce after “…hard frosts turn any green remnant to brown and black” (page 489) in late autumn. These C3 year round green species have exactly what Massy describes “lots of green leaves for as long as possible … to drive healthy landscape function.” They can also contribute to soil water and mineral cycles, livestock health and reduced livestock methane emissions per kilogram of liveweight. The PhD derived component of this book should have been a separate book as the discussion distracts farmer readers from the real life achievements of the regenerative farmer and educator case studies. That’s because it oozes academia to make the case for a successful thesis. This component which includes discussion around epigenetics, evolution, phytochemicals, microbiome, soil biodiversity, food nutrient quality and density, human health, child rearing and farming history, in my view embraces personal opinion, theories, anecdotes, exaggerations, is scientifically selective, is often contradictory, and is too generic by not taking account of geographic differences across farming and grazing land such as soil types, climate and rainfall, fertility, and biodiversity. 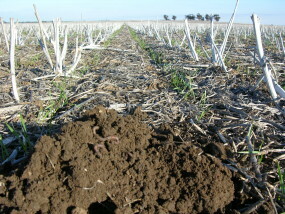 “Soils Alive – understanding and Managing Soil Biology on Tasmanian Farms”, by Declan McDonald and Denis Rogers (2010). Another reason for dividing the book is that in its current format it takes far too long to read. The subject matter in the PhD thesis component can be controversial, complex and novel (“Gaian Earth” page 449; “hologenome” page 466; biophilia page 480; Ecozoic era page 503). The reader needs to take time to try and digest what Massy is saying and concepts introduced. It is heavy reading. It would also give Massy an opportunity for sub-editing to remove repetition of arguments. Interestingly he often refers to such repetition in the text. The third component of the book, Massy’s personal life story of “transformative learning” and developing an “Emergent mind” to “face the mounting Anthropocene challenge” also deserves its own separate book. Massy has an incredibly diverse history in agriculture from growing up on a family farm, attending university, managing the family farm, raising a family on the farm, breeding elite Merinos, marketing Merino wool, participating in Merino wool representative and R&D organisations, Merino history researcher and book writer, and most recently a PhD academic. This makes him a distinctive character with wide life experiences relating to farming so his story would attract considerable interest. The fundamental principle behind regenerative farming is working with nature. But nature is a dominant force that no methodology has a claim over. Farming and grazing irrespective of how they are undertaken change ecosystem functions from their original state. The question is can nature accommodate such changes and still maintain or when necessary improve ecosystem functions? Massy’s hypothesis is nature cannot operate ecosystem functions successfully while mechanistic practices takes place. Massy is likely to characterise National Agriculture Day as “…modern society’s commitment to an economic- rationalist, growth based capitalist globalisation of greed and a discounting of the future” (page 463). He wants revolution in farming methods to produce what he sees as a spiritual utopia where farmers, gardeners, scientists and advisors express love for nature and each other. “I believe that love is the essential ingredient in human and human-Earth relationships”, he says on page 498. Regenerative farming stories provide an important avenue for practice change in agriculture and will be more successful in doing so if delivered through constructive rather than destructive themes. Massy’s PhD hypothesis does not accommodate this approach so it is unlikely this book will attract more mechanistic farmers into regenerative agriculture. I would not recommend this book to most farmers, they have many other more balanced publications and knowledge sources to help them understand and adopt a holistic approach to decision making. “Call of the Reed Warbler” is published by UQP, its recommended price is $39.95. I am an advocate and practitioner of holistic grazing management, so support that approach. My view is that holistic management should be adopted in conjunction with agriculture science. That’s because the scientific process can assist in differentiating facts from fiction. It is also worth remembering that farming methods are constantly evolving and embracing new knowledge. Farming ideologies put blinkers on their proponents and subsequently can be counter productive to mainstream adoption. Excellent review Patrick. I have just finished wading through this tome and was wondering if those who gave testimony under the front cover had read the same book. There are some uplifting tales of farmers who have done amazing things or experienced great redemption, but I was put off by the aggressive dismissal of anyone involved in Mechanistic agriculture. There are aspects of holistic grazing management, permaculture and (even) biodynamics that I admire and advocate, but when they become ideologies I fade away. Very helpful review. As a vegan and animal advocate, I have had this book recommended to me by farmers who view holistic/regenerative agriculture as an important paradigm shift. I am about 1/3 of the way through it and will say that while I cannot evaluate the book in the way you have, it does open my eyes to a variety of challenges, tensions and constraints facing farmers as we look to a sometimes worrying future. Good analysis Patrick, I agree that the book represents a lost opportunity to act as a catalyst for change. But I suspect that actual farmers aren’t Massy’s target audience. No doubt it will appeal to those outside broad-scale agriculture, who instinctively believe ‘natural’ is best and everything would be fine if those ignorant farmers would simply wake up and do things the way Massy suggests – strange that he rarely pauses to consider why they don’t, or even what the consequences would be if farmers abandoned what he calls ‘industrial’ agriculture. THAT would have been an interesting chapter. Agriculture undoubtedly has negative environmental impacts, some of them significant. But these impacts have complex causes and generally even more complex solutions. It is right to be suspicious of people spruiking simple solutions, but this is a book for people who know little enough that they believe such solutions exist. I dispute that this book espouses simple solutions to complex problems. It literally and figuratively covers a vast terrain and as a result it often skims the surface, but there are references to follow if one wants more depth. I agree that Massy’s approach will alienate some, but I admire his willingness to call out farmers and pastoralists for the immense damage that they, in their ignorance, have done to this country and its original inhabitants. Understandably, the people who take pride in the “heritage” that caused this destruction won’t like this book at all.